12/10/15 – Hello, and welcome to the first St Davids Blog post, where we can let you know what’s happening around the church. 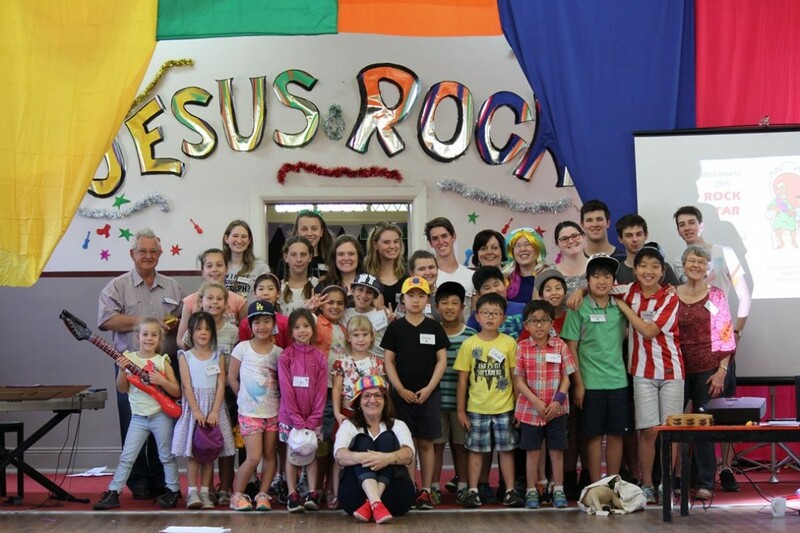 Kids Holiday Club was back again this year! The program ran for 3 days at the end of the school holidays. The theme this year was “Rock Star”. The kids had a great time learning about who Jesus is and what it means to follow him. They learned this in particular through the two memory verses: John 14:6 – “Jesus said, I am the way, the truth and the life. No-one comes to the Father except through me.” and John 10:10 – “I have come that they may have life, and have it to the full.” There were many volunteers who gave their time over the three days and leading up to the program, such as those who prayed; decorated the hall; prepared crafts, dramas and games; lead bible studies; and provided meals. It was a wonderful time and all the leaders did an excellent job. We hope this event continues not only to encourage the individual children in their own journey with Christ, but also strengthens our links into our community, through school scripture and through families and neighbours. Do you receive letters? Did you know that you can collect used stamps and donate them to the Uniting Church? If not, you do now! The Stamp Committee is a group that collects and sells bulk stamps to raise vital funds for Uniting Church projects such as those through Uniting Care and Uniting Mission and Education. In 2013 they raised over $24, 000 which went to many deserving and varied projects such as breakfast clubs, drop in centres, hymn books, play group equipment, reading programs, petrol for travelling pastors, Frontier Services pilot training, security services and more. Our church has a box at the entrance to the left where you can drop off your stamps, and they will be delivered to Uniting Church head office to go towards these great projects. You can help by donating your used stamps (still stuck to their paper, and trimmed with >3mm paper around the edges) at church, and encouraging your friends to do the same – it’s so easy! Read about it all here at https://sites.google.com/site/ucastamps/ or for more information contact Kaye Payten.